Enjoy the best inspirational, motivational, positive, funny and famous quotes by Andrew M. Niccol. Use words and picture quotations to push forward and inspire you keep going in life! 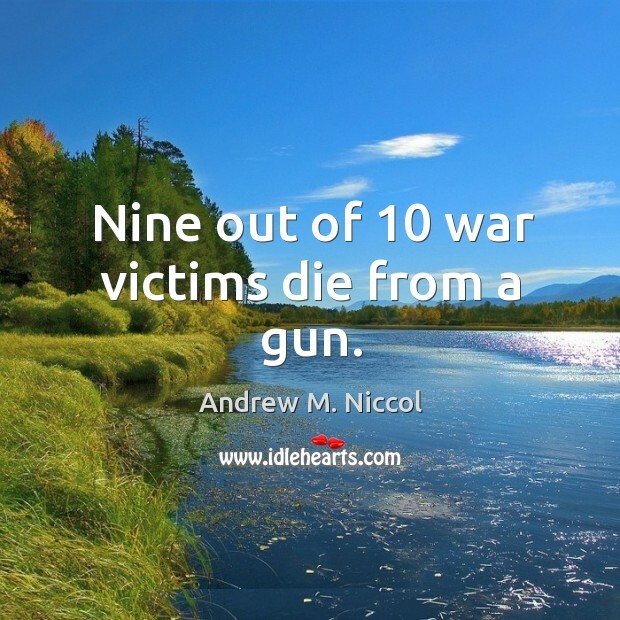 Nine out of 10 war victims die from a gun. The U.S. is by far the biggest exporter of arms in the world. 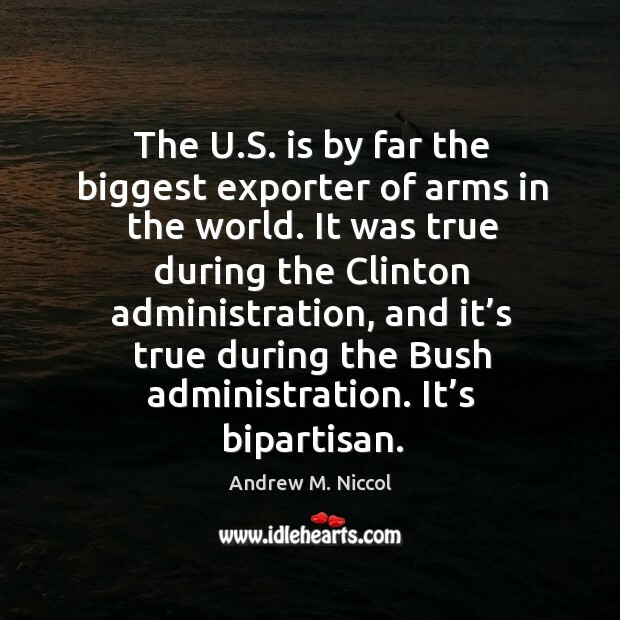 It was true during the Clinton administration, and it’s true during the Bush administration. It’s bipartisan. 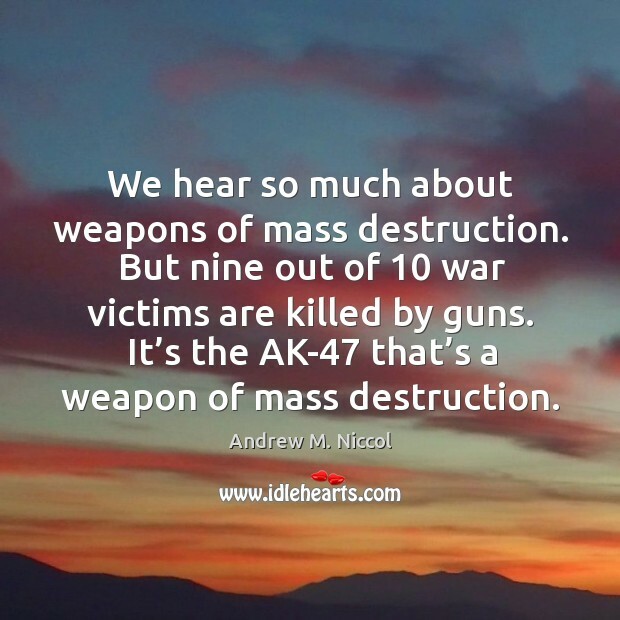 We hear so much about weapons of mass destruction. But nine out of 10 war victims are killed by guns. It’s the AK-47 that’s a weapon of mass destruction. 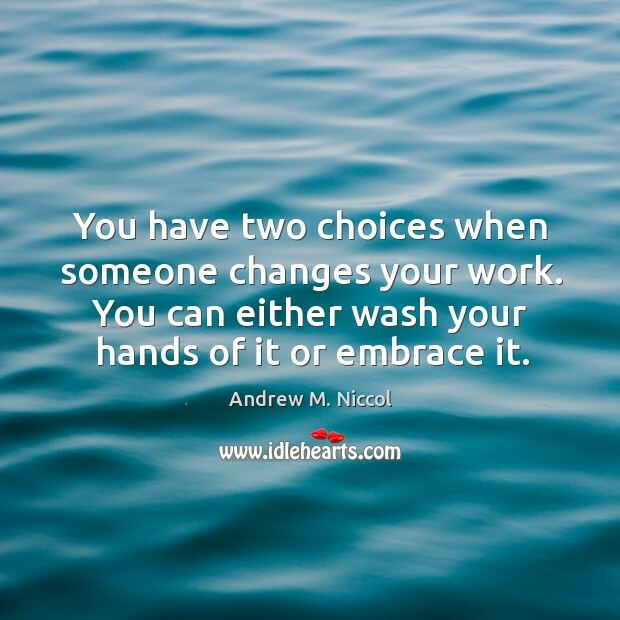 You have two choices when someone changes your work. You can either wash your hands of it or embrace it.